Daily Wrap-up: Glad today’s over? Global equities slumped Thursday, led by China’s main index which fell 7 per cent on oil prices and a fall in the value of the yuan. The downbeat mood spread across the world with none of the major markets escaping sell-offs with most closing more than 2 per cent lower. 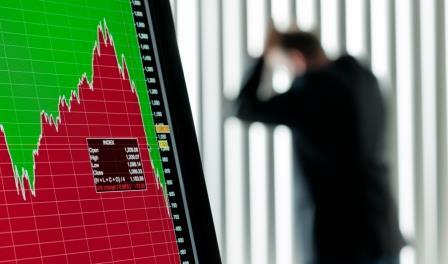 Toronto’s main index dropped to levels last seen in 2013 as oil prices continued to tumble with US and Brent crude around $33 and Western Canada Select below $20. The governor of the Bank of Canada said Thursday that monetary policy would change as necessary in line with global conditions. Stephen Poloz warned that as resource prices continue to decline the trends established in Canada over the past decade are being reversed. However he said that the policy-makers have a number of tools at our disposal—both conventional and unconventional—to mitigate risks to our inflation target or to our financial system, should they arise. Speaking about the drop in the loonie’s value, the governor said that it is why countries have flexible exchange rates but highlighted that with some positives (offsetting lower resource prices and helping exports) came the negative issue of spreading income loss across the nation. Navdeep Bains is still considering whether there should be an injection of federal cash for Bombardier. The economic development minister said there was no set timetable for the decision but it will be considered on a “business case level.” Bombardier is getting financial assistance from Quebec but has requested federal help too. International exports of oil products from Calgary’s Cenovus could be set to increase. The firm is reported to have made two deliveries of oil to Europe from the Gulf Coast and is looking to expand sales outside North America. The Globe and Mail says that Cenovus is opening a new office in Houston, TX to be in the centre of the major oil refiners’ region.